We've had our eye on the 1 Hotels group for some time now as they look to have taken the concept of a nature-inspired hotel concept and knocked it clean out of the ballpark. Having spent a couple of days soaking up the atmosphere in their Miami Beach property we're bigger fans than ever. Founder Barry Sternlicht, previously Chairman and CEO of Starwood Hotels & Resorts, has pushed the sustainable luxury theme to its limits here, breaking new ground in the process. There's just nothing else quite like this out there at the moment. 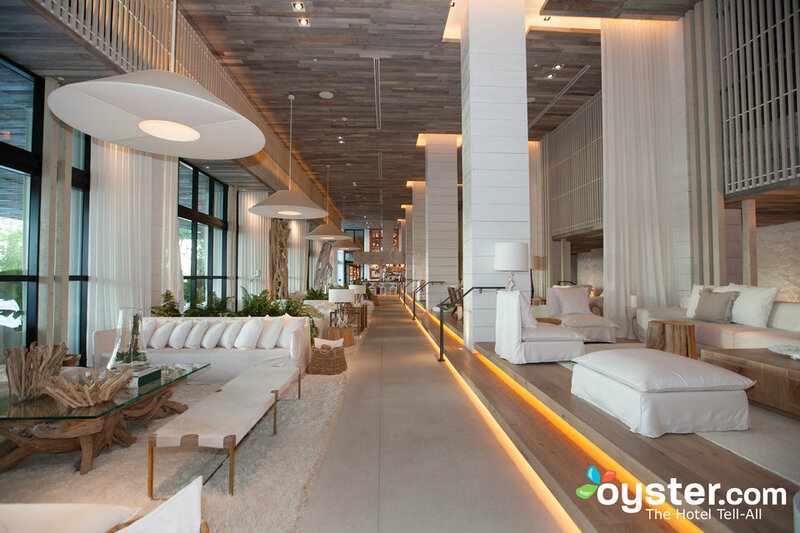 The South Beach property is overflowing with living walls and pearlescent white Teslas outside, while the double-height main lobby area is a symphony of tonal neutrals from beach shell white through to coffee table oak and terrarium green. It somehow manages to tick all the boxes of a five-star hotel while sticking by its sustainable mantra and avoiding any signs of snobbery, despite sitting well above the US$500 per night price category. All bedrooms have high-grade water filters on every tap, hemp-blend mattresses, eco-friendly toiletries, lots of natural light, living plants, aromatherapy and reclaimed wood. The restaurant uses organic ingredients and there is a brilliant little health cafe on the ground floor selling juices, smoothies, salads and gluten-free pastries. All around lie petrified wood tables, linen drapes, hanging plants, whitewashed timber and soft beige carpets, helping unify concept, design and product in one cohesive whole.